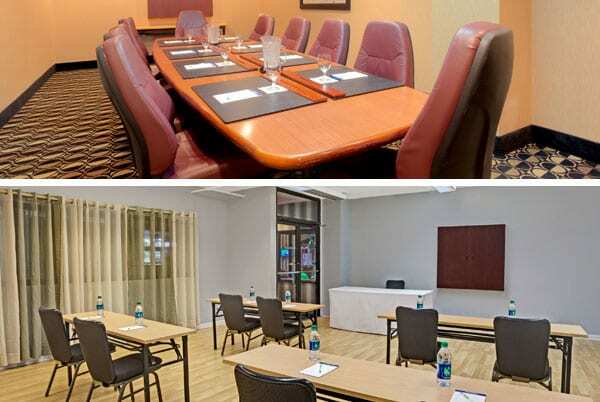 Experience Group Events and Meetings in a whole new way with the Wyndham Garden Norfolk Downtown. We have 18,000 square feet of function space that includes beautiful views, functional layouts, and plenty of room to be productive. Our conference style floor plans and breakout rooms will enhance any meeting experience and our Historical MacArthur Ballroom will leave you breathless with views of Norfolk from all angles. Our function space is ideal for Special Events, Weddings, Parties as well as for conferences and seminars alike. You cannot go wrong choosing a venue with so much to offer guests of all ages and types with corporate and social meeting needs. Check out our Meeting Space Chart or fill out our Group Reservations Form and one of our representatives will contact you for more details for your meeting requirements!